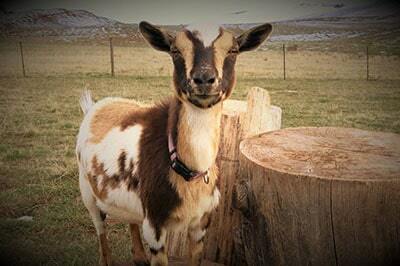 Pronghorn “goats” are fleet of foot, but when it comes to producing cheeses and luxurious soap, they are no match for a Slow Goat herd. Lindsey Washkoviak and her partner, Ben Elzay, operate Slow Goat Farm near Lander. “We chose the name as a spin-off of the slow food movement since cheese is a slow food. Also, a lot of people refer to antelope as speed goats and cows as slow elk, so we thought it would be fun to call our goats ‘slow goats,’” Lindsey said. The slow food movement started in Italy and subsequently spread worldwide. It encourages sustainable farming and livestock production practices, as well as traditional cuisine. Slow Goat Farm is a micro-dairy that consists of a small herd of Nigerian Dwarf goats, a cow named Bessie, and a few sheep. 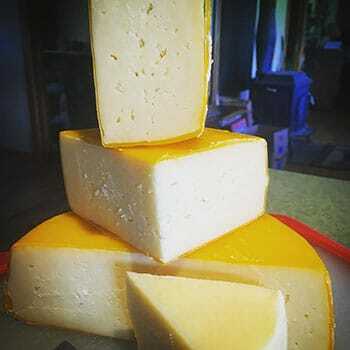 Lindsey and Ben specialize in raw cheeses. Chevre is a popular variety available in several flavors, including plain, garlic, lemon mint, and honey cinnamon. They also make Boursin, Cabecou, Chevo, and Telemea goat milk cheeses, sell goat milk yogurt and cow milk cheese, and have dabbled with pasta and even lotions. Lindsey said while standard goats yield more milk than Nigerian Dwarfs, the Nigerian Dwarf milk is higher quality. “In addition to cheese, we make goat milk soaps that are super luxurious because of all the good fat from the oils and milk,” she said. Slow Goat Farm “thermizes” its milk, a process that raises temperatures high enough to kill unwanted bacteria while preserving beneficial bacteria, enzymes, and proteins found in raw milk. “Our cheeses have a richer, more complex flavor when the milk’s natural bacteria can thrive,” the company’s website indicates. 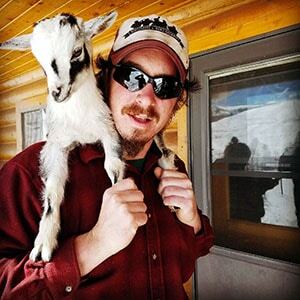 Operations like Slow Goat Farm were made possible by the Wyoming Food Freedom Act, passed in 2015 and amended in 2017. It allows the sale of unregulated foods from producers directly to consumers and includes consumer disclosure provisions. 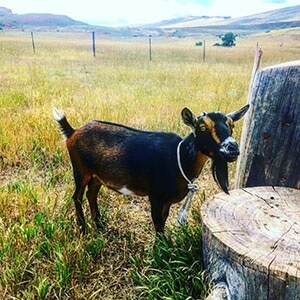 Slow Goat Farm started in 2015. “You have the choice as a consumer to either buy our products or not, and to ask us questions about our practices and policies,” Lindsey said. Signs at points of sale also remind consumers that the manufacturing process is unregulated. Slow Goat products are sold at the Lander Valley Farmers Market and through an email list of about 300 people. Florie Consolati is a regular customer who has tried several Slow Goat Farm products, but her favorite is Chevo cheese – a mold-ripened, goat milk cheese aged in a Mason jar.  She also has tried the company’s goat milk soap, including one blended with coffee grounds that has exfoliant properties. “I think their business has a ton of potential because their products are such high quality,” she said. 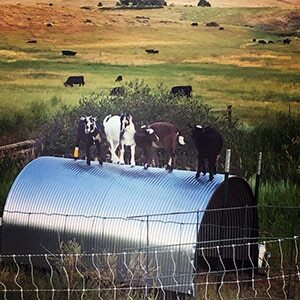 Even before the business launched, Slow Goat Farm received guidance from the Wyoming Small Business Development Center Network’s Sarah Hamlin, regional director for Fremont and Teton counties. So far, demand for products has been strong, through both the Lander Valley Farmers Market and the email list. “We’ve had incredible support,” Lindsey said. 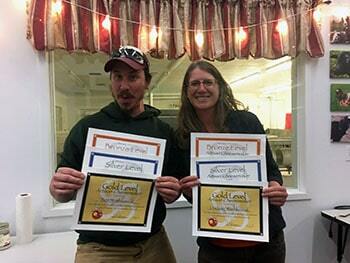 Next steps for Slow Goat Farm might include expanding production, such as adding sheep milk cheese to its offerings, and possible commercial certification. “There’s been such a wonderful response from the community, that definitely gives us the desire to keep going and do more,” Lindsey said.